I'm usually a big fan of Nicole Baart's writing, and while I won't say this book disappointed me, I will say it is my least favorite of those I've read. Baart noted that the book took her over ten years to write; she started it and then life (including other books) got in the way. 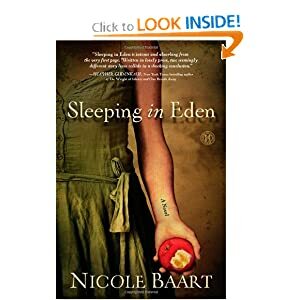 Perhaps her writing style has changed through the years; perhaps the story didn't grab me the way her other books did; all I know is that while Sleeping in Eden is a good book, it is not the extraordinary book Baart is capable of writing. Sleeping in Eden is a two-threaded book. One thread, that of Lucas, takes place in the present day. Lucas is trying to learn who the young woman found in the barn is. Meg's thread is set ten years ago. In the end, they come together. The only question to resolve is how. One thing I really liked was Lucas' choice near the end of the book to crawl in bed with his wife and hold her, even though she said she didn't want that. He made the choice to love her, he made the choice to reach out and risk rejection. 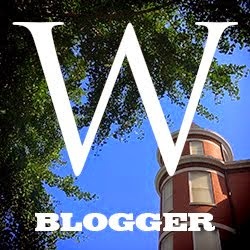 The book is published by Howard Books which publishes faith-based books. However, this is not your typical Christian novel. There are no long prayers, no salvation scene, no calls for conversion. The people are definitely not too good to be true. They don't find God and live happily ever after. Other than dealing with fidelity and love in marriage I can't think of anything particularly Christian about the book.